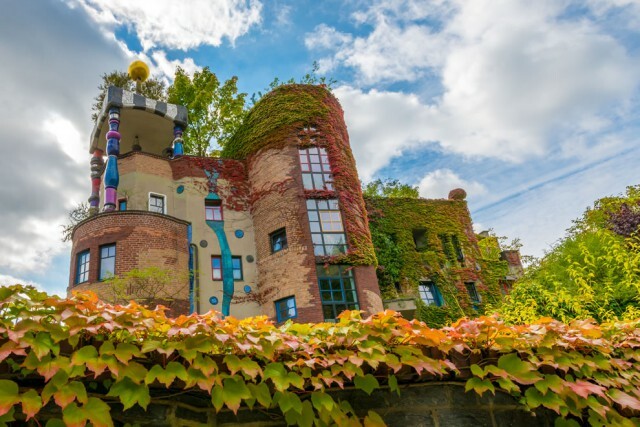 Autumn at residential building in Bad Soden, Germany, designed by Friedensreich Hundertwasser; construction began in 1990 and was completed in 1993. 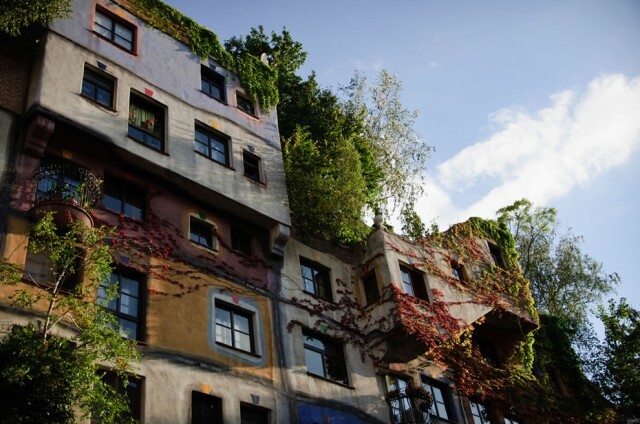 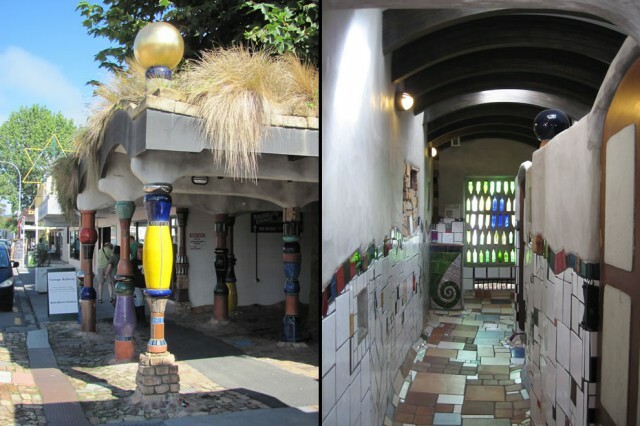 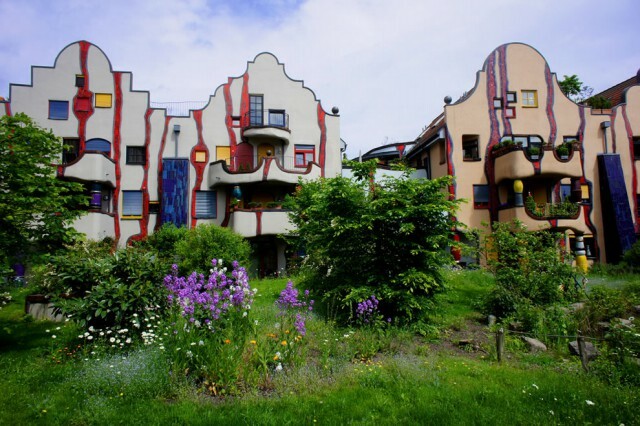 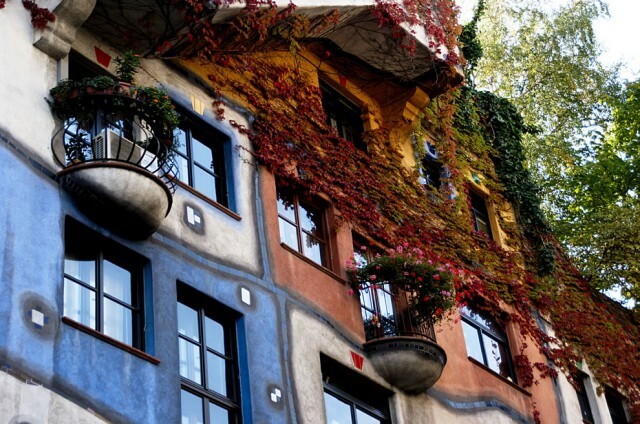 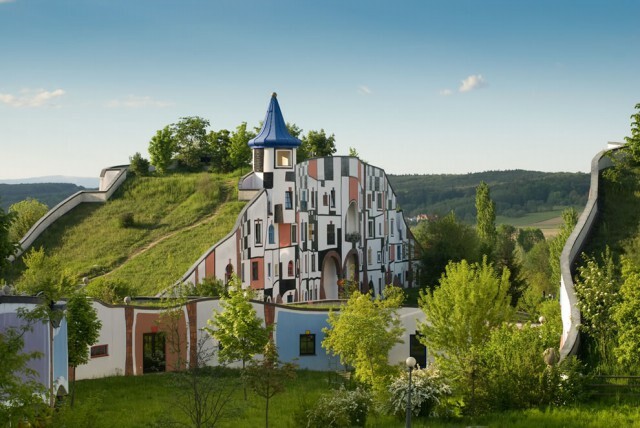 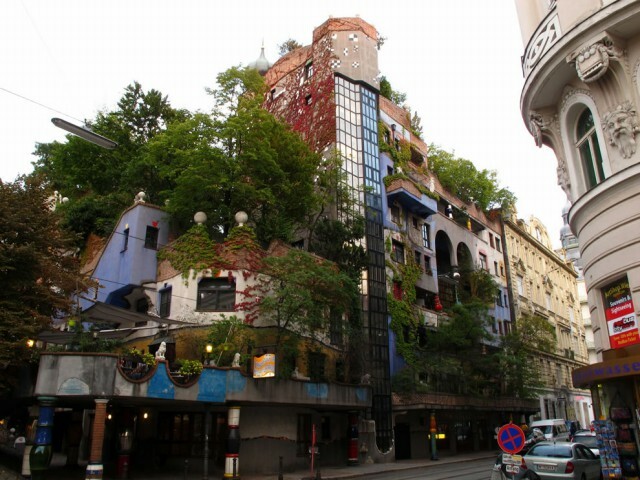 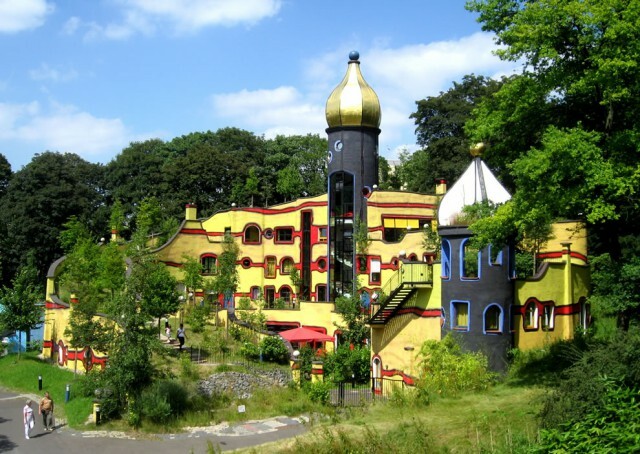 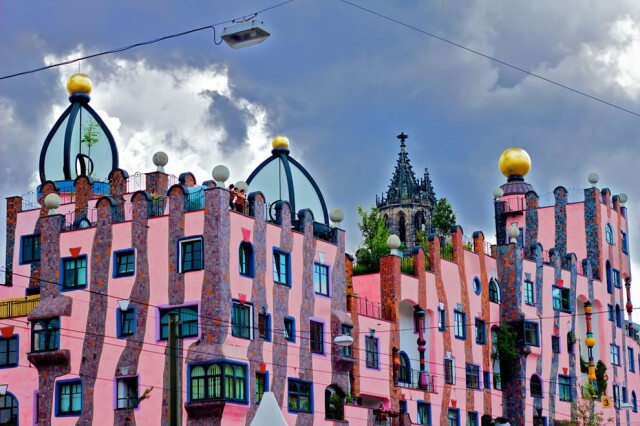 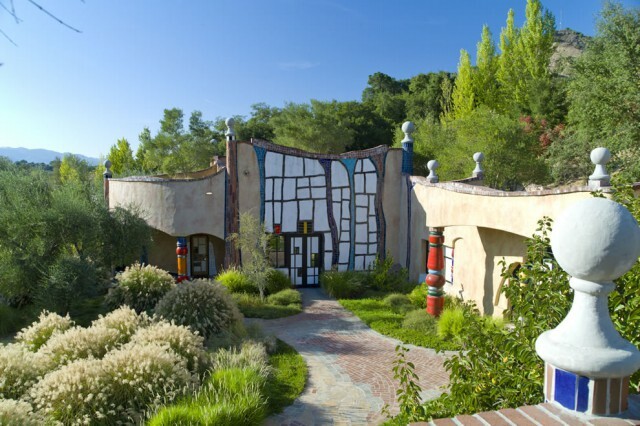 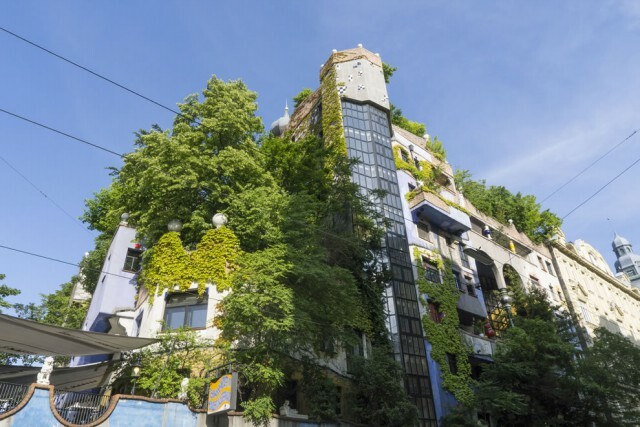 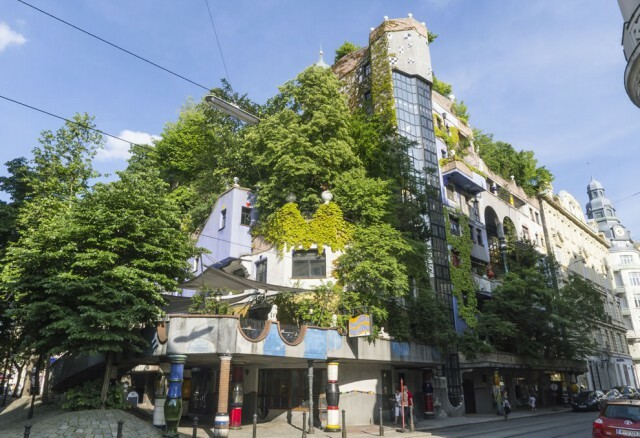 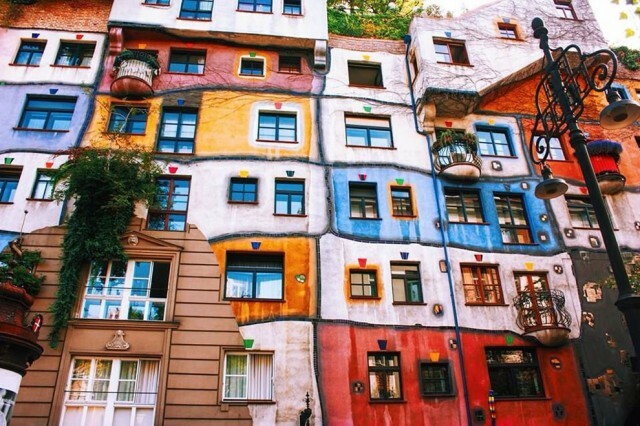 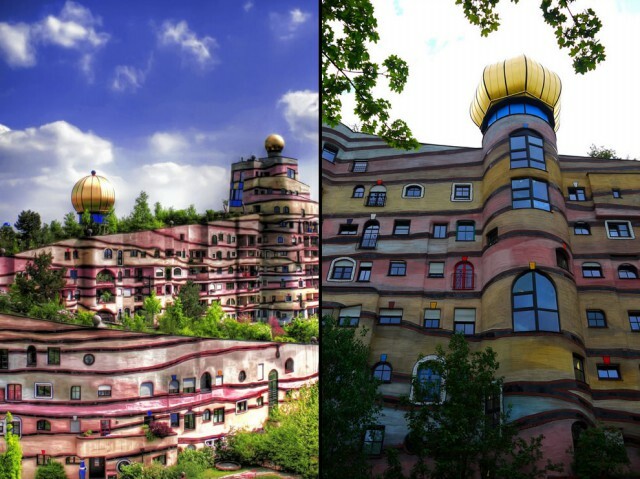 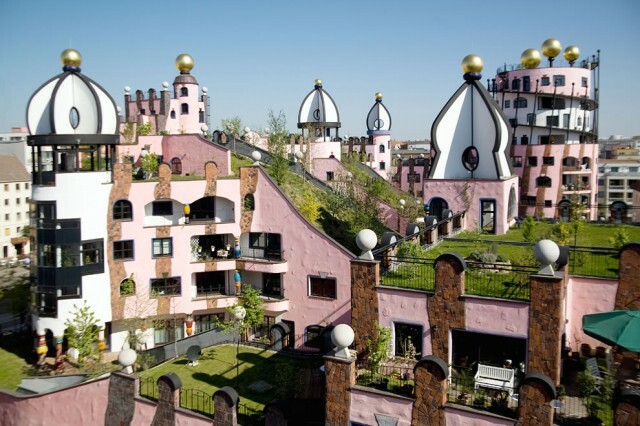 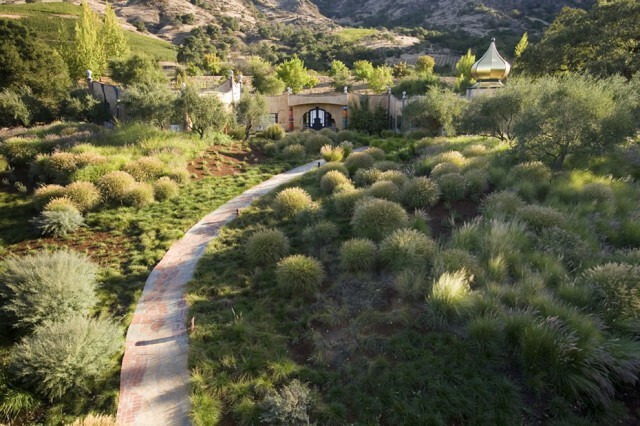 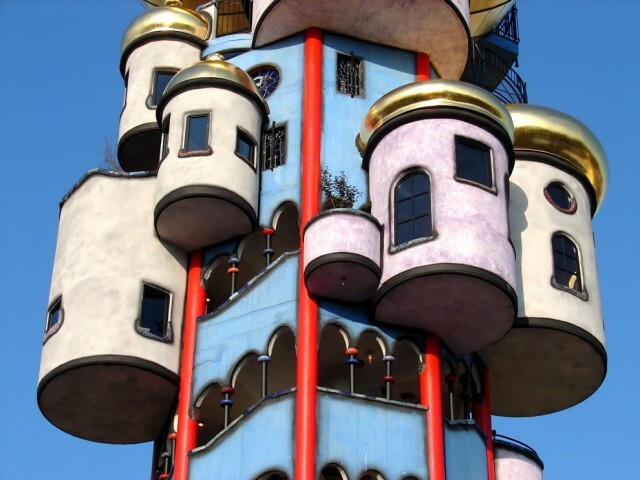 When we were looking for houses with grass living roofs, we kept coming across buildings designed by Hundertwasser. 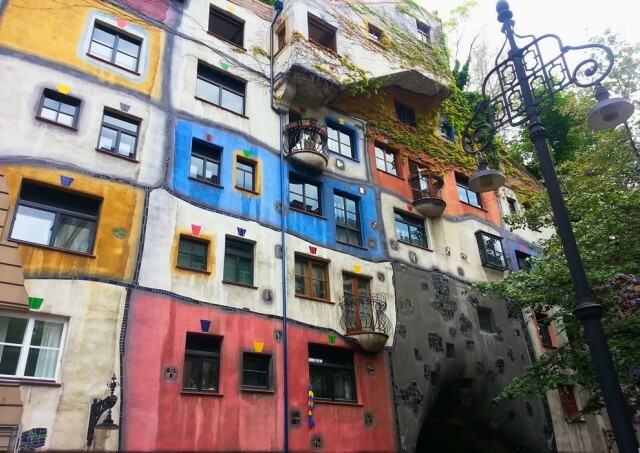 His architecture and ideas were so unique that we wanted to share some of them. 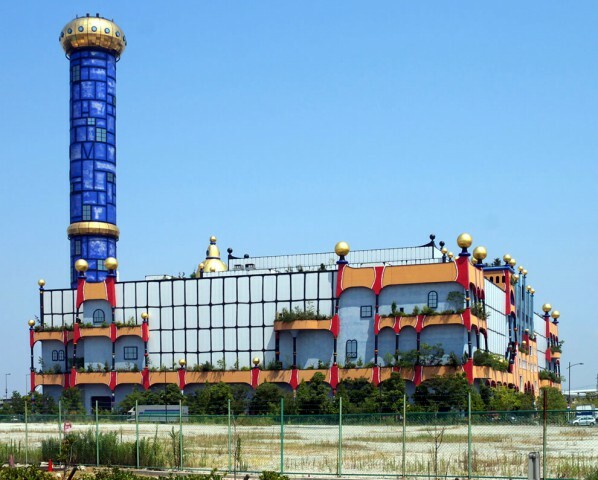 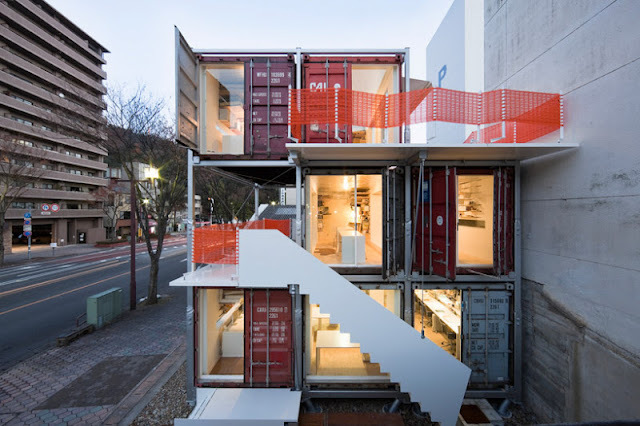 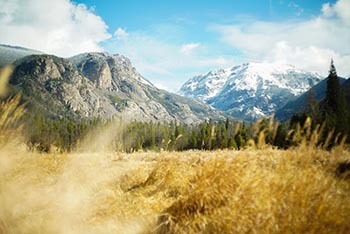 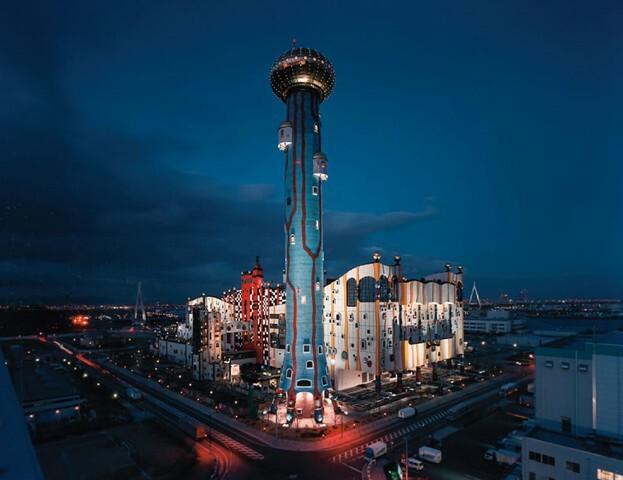 The photographer said that the tower was originally supposed to be about 230 feet (70 meters) high. 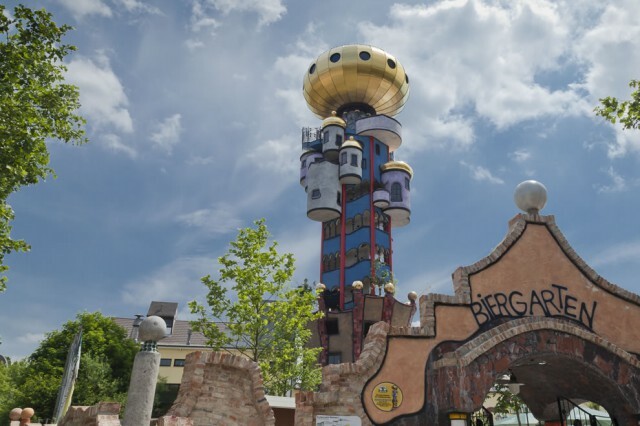 “But the conservative mayor and the Bavarian State Conservation Office fought in court for a smaller tower, supposedly not to impair the skyline of the old town. 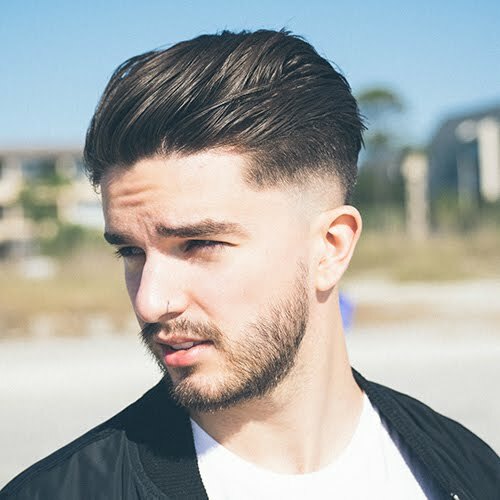 This silhouette is, however, extremely boring and completely bland.” Granted, we don’t typically visit breweries but this certainly looks unique to us. 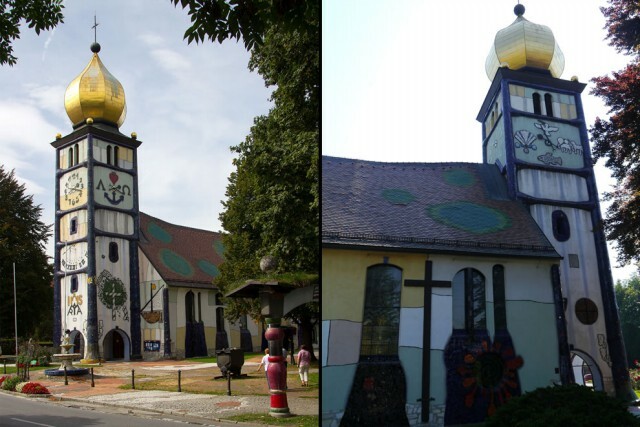 St. Barbara Church in Bärnbach, Austria, was started in 1984 and completed in 1988. 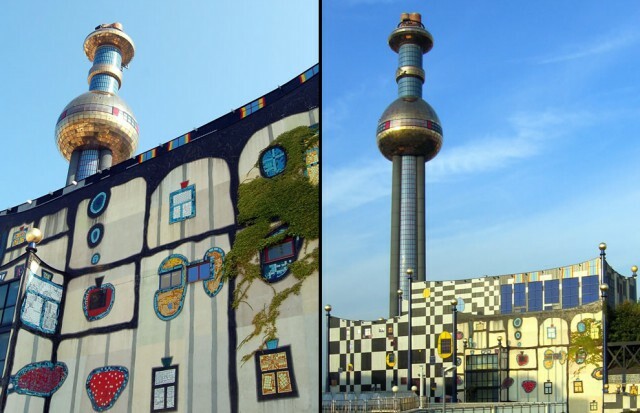 Spittelau thermal power plant, a District Heating Plant, in Vienna. 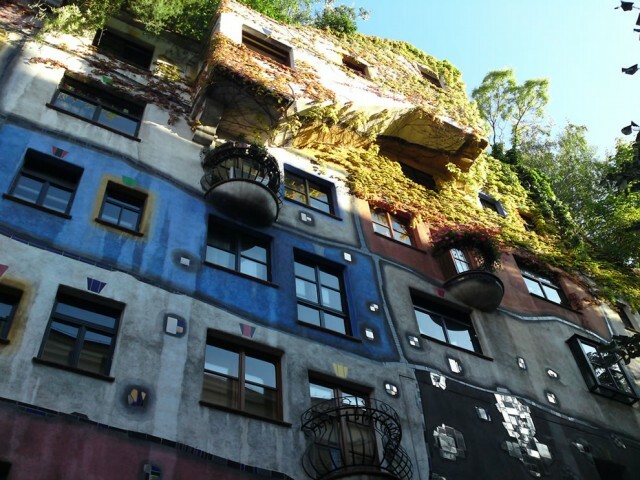 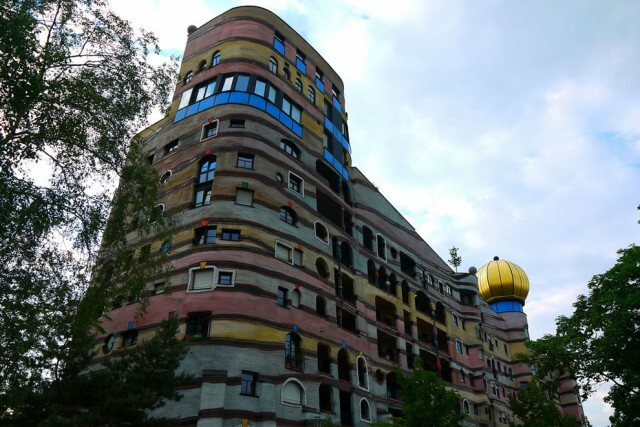 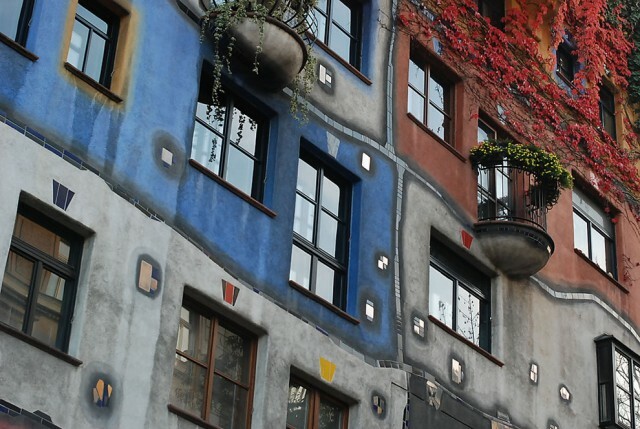 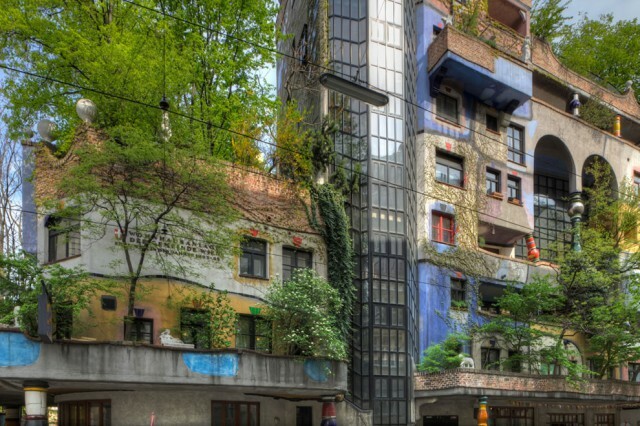 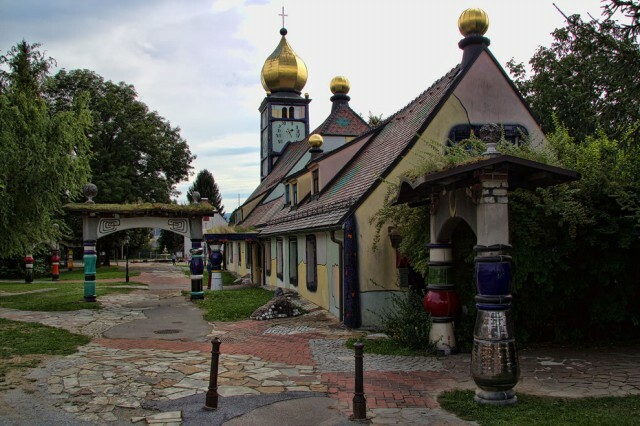 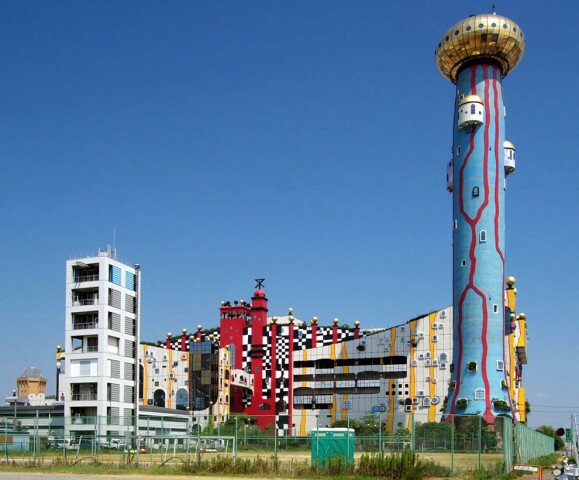 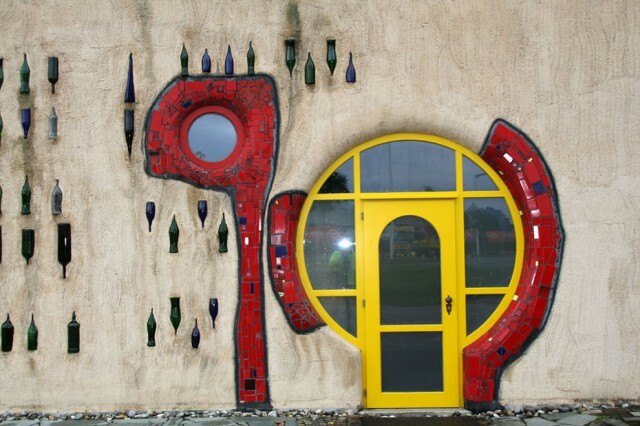 Hundertwasser redesigned the outer facade after a major fire in 1987; the redesign began in 1988 was completed in 1992. 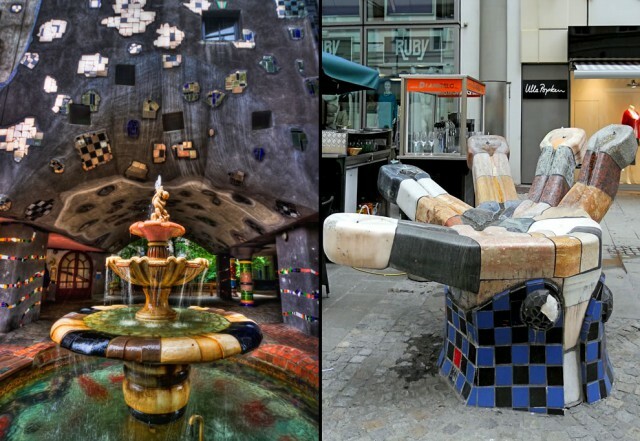 Hundertwasser also designed fountains such as can be seen in front Hundertwasserhaus; On the right is his Spiral-River Hand Drinking Fountain. 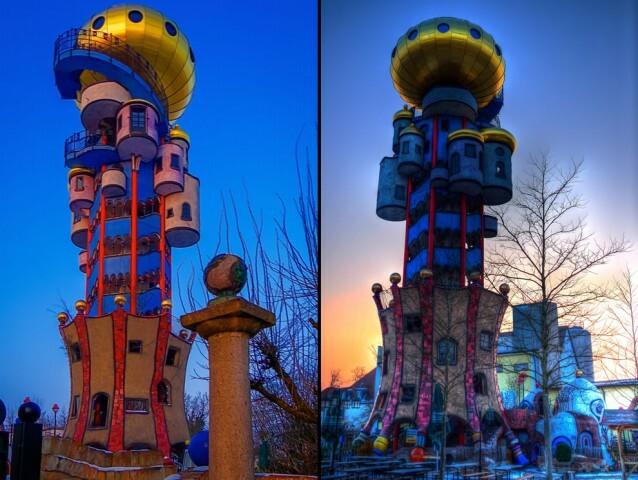 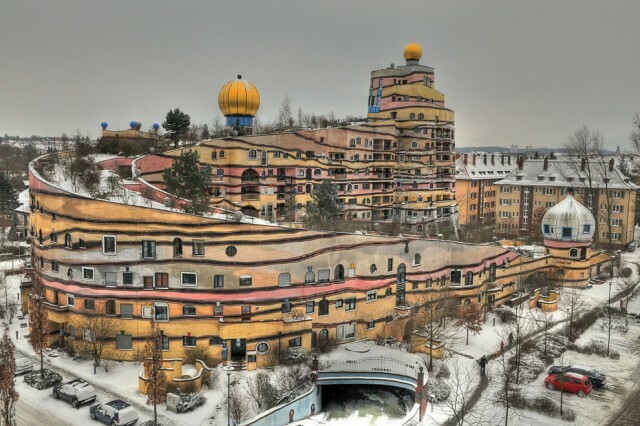 From the mind of Hundertwasser, a truly unique Austrian painter and architect. 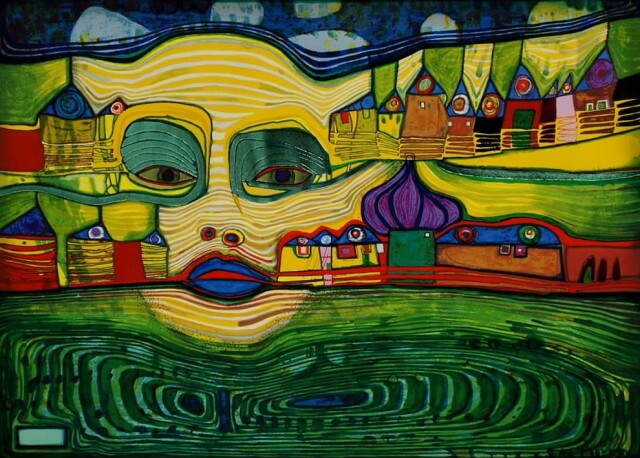 Face on Hundertwasserhouse. 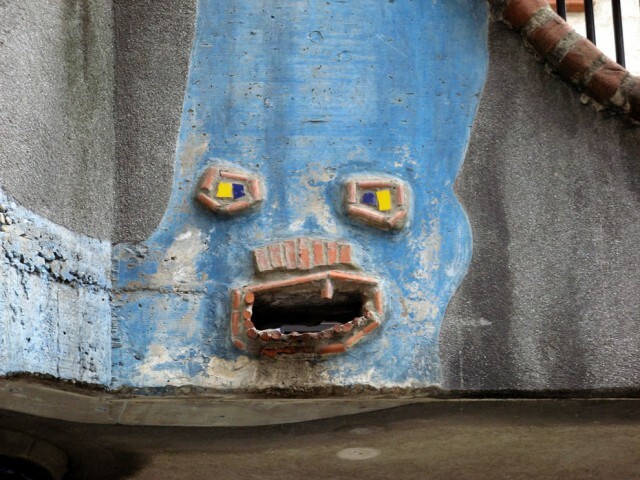 Whether you like or dislike his style, it’s certainly not something most of us see every day.